Suit is fully sewn and ready to wear. Covers you from head to toe. Includes an invisible vertical zipper that runs along the back of the suit. 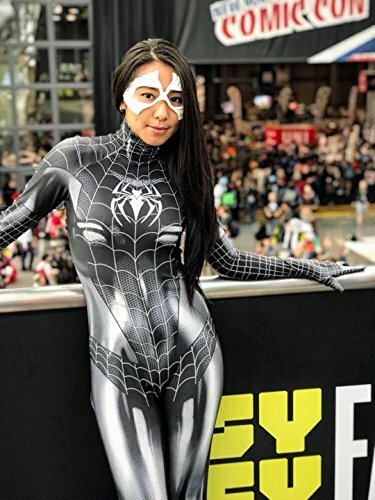 Enter the spider-verse with this Black Cat Symbiote Cosplay Costume! For sizing measurements, please refer to the sizing chart in the description of the listing.